Your pet's risk of complications during and after anesthesia and surgery is tremendously greater if there is preexisting organ disease, malfunction, or failure. We strongly recommend blood work completed within 60 days before anesthesia and surgery to help rule out these problems or identify them and devise an alternative treatment plan to meet your pet's unique needs. These blood panels provide immensely valuable information. If your pet has had blood work within 60 days, our staff w ill inform you during your admission appointment. If your pet has not, during the check-in process, we will ask you about performing same-day preoperative blood work. All pets presented for surgery will receive an IV catheter to administer fluids and medications before, during, and after surgery. A small section of hair on the front leg will be shaved for catheter placement as well as sections of hair at the sit~ of the surgery. Every pet will be monitored by a veterinary technician and an ECG machine through their entire anesthetic procedure. I authorize the doctors and support staff of Arlington Heights Animal Hospital to perform services, diagnostic procedures, and treatments deemed necessary to improve my pet's quality of life and provide quality veterinary care. I have been advised of the risks and possible complications of my pet's procedure and that results and/or expected outcome cannot be guaranteed. I understand that any anesthesia involves risk to my pet. By signing below, I acknowledge that risk and will not hold the doctors and/or technicians liable or responsible in any matter for any injury, escape, or death of my pet in connection with the procedure. I am encouraged to discuss any concerns I have about these risks with the doctor before the procedure(s) is/are initiated. I understand that payment is due at the time of service and that I am fully financially responsible for any and all services rendered. I also agree to pay for all expenses incurred to collect the debt including, but not limited to, attorney fees, collection agency fees, and billing fees. Microchip: 1 in 3 pets goes missing during its lifetime, and without proper identification, 90% never return home. A microchip is a form of permanent identification implanted under your pet's skin between the shoulder blades. The microchip is about the size of a grain of rice, is placed in a matter of seconds, and helps keep you connected to the pet you love, forever. Once registered, you can update your pet's online profile to include his/her picture and any pertinent medical information. Laser Therapy: We now offer laser therapy post operatively which accelerates healing, reduces pain, and reduces inflammation. -If your pet has deciduous (baby teeth) that are not likely to fa ll out, we will extract them to prevent future dental disease. Usually, any deciduous teeth remaining after 6 months will need to be extracted. 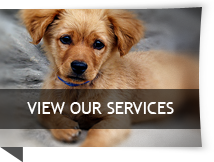 -If your pet has an umbilical hernia that is reducible, we will repair it during surgery to prevent future emergency. By initialing above, I understand there are additional costs for these services. Histopathology: (applicable to growth removal surgeries) Histopathology is the examination of biopsied tissues. It is recommended for all growth removals to evaluate the type of growth and if further treatment is needed post-surgery.